Shafi’i and Hanbali scholars detailed the matter and prohibited some insects and permitted eating others. I have a question about the permissibility of eating insects. 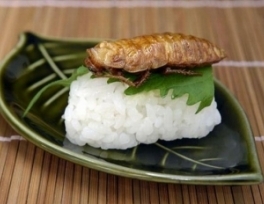 Recently, the Food and Agriculture Organization of the United States, has come out with a report which states that there are several insects which are nutritious and can be eaten. 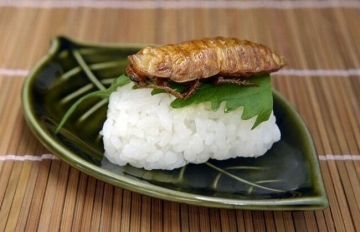 It says edible insects can fight malnutrition. They have, for example made edible biscuits from termites, etc. What is the Islamic ruling on this? Which ones are halal? Which ones are makruh? Which ones are haram? Scholars debated and had different opinions regarding the permissibility of eating insects. The Hanafi scholars for example prohibited eating insects whereas the Maliki scholars had permitted eating them. Other scholars such as the Shafi’i and Hanbali scholars detailed the matter and prohibited some insects and permitted eating others. The reason behind the scholarly debate in this issue was explained by Imam Ibn Rushd in his book “Bedayat al Mujtahid” (part 3, page 22, Dar al Hadith publishing house) in which he said that they debated about the definition of “filth” when God says in the Quran, “and unlawful all that is filthy” (7:157) Therefore, the scholars who thought that prohibition is only limited to matters which are explicitly cited in the Quran and the Sunnah do not prohibit what the human’s nature finds repulsive or filthy because it was not directly stated in legal texts. And those scholars who thought that the filthy things are what humans find repulsive and hideous deem insects prohibited. The Maliki scholars ruled that it is permissible to eat insects with the condition of being dead with any means. As for locusts, Ibn Rushd stated in his book “Al Bayan w Al Tahsil” (part 3, page 306, Dar al Gharb al Islami publishing house) that scholars debated over it as some believed that locusts do not need to be slaughtered and it is permissible to eat what was found dead among them. Other scholars found it necessary to slaughter them in ways which would normally lead to its death such as cutting off its head or poking it with thorns or pins or throwing it in fire or hot war. Imam Abu al Barakat Ahmad al Dardir in his book “Al Sharh al Kabir” (part 2, page 115) cited some examples of edible insects such as scorpions, beetles, grass hoppers, ants, worms, licorice and all these insects are related to earth and these insects find their way to the surface of the earth they always go dig their way back to earth. Other animals were included such as lizards but the dead lizards are impure and need to be purified through slaughtering. The Muslim scholars realized the benefits of some insects such as ants in treating some diseases. Imam al Nawawi stated in “Al Rawda” (part 3, page 353, Al Maktab al Islami publishing house) that it is permissible to sell ants in “Askar Makram” which is a city in Khurasan because it is used to treat diabetes and in the city “Nasebeen” as it is used to treat flying scorpions. Therefore the whole issue is bound to scientific researches which prove the benefit or the harm of insects. If it is proven that certain types of insects are used for medical purposes without any harmful side effects, it would be permissible to use it and eat it. At the same time if it is proven that using insects is harmful to the human being, it would be prohibited to use them.